Sentinels in the landscape, evergreens retain their foliage and color throughout the seasons. Versatile in foliage and form, with their needle-like and scale-like foliage, upright, pyramidal, prostrate and rounded shrub habit, evergreens are very popular, require little maintenance and possess high landscape value. Subtle in nature, evergreens go seemingly unnoticed until the colors of summer fall quiet and their performance begins. Braving wind, rain, snow and freezing temperatures – these strong and steadfast plants, with their frosted berries, exfoliating bark, contrasting color and lovely silhouettes, become reliable hosts of winter. 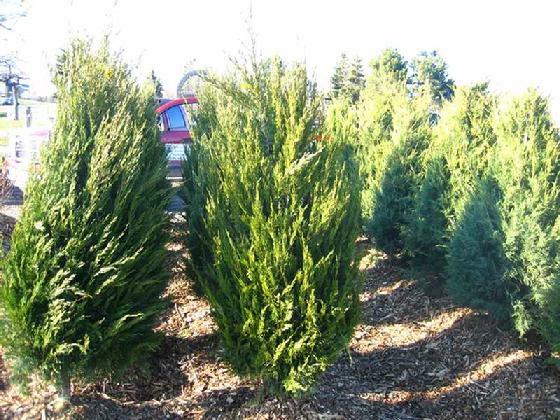 Excellent for foundation planting, specimen, hedges and barriers – evergreens provide screening, privacy, texture and contrast, as well as shelter and food for wildlife. Junipers are popular because of their numerous design characteristics: form, size, color and texture. Low growing junipers can be used as ground covers or foundations plantings. Taller growing plants are excellent for screens, hedges or windbreaks. You can find a juniper in almost any height, width, shape or needle color. Junipers are very tolerant to adverse conditions. Junipers generally enjoy full sun and good drainage. During summer droughts they withstand heat and dry conditions much better than most ornamentals. Broadleaf evergreens display large, wide or flat foliage. As new growth emerges, old leaves are shed so that the plant is rarely, if ever, without leaves. In extremely cold and dry winters, a majority of the foliage may be shed, however the plant remains very hardy. 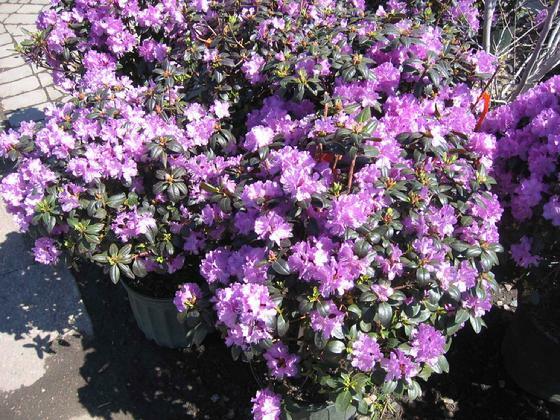 Available in a large variety of colors, shapes, temperature and soil tolerances, these plants range from dwarf, compact and prostrate forms, to large sprawling shrubs. Broadleaf evergreens excel at providing color and ornamental charm in the landscape and are excellent for foundation planting, groundcover, hedges, screens, windbreaks and attractive specimens. Many of these elegant shrubs provide massive color displays to welcome spring. Profuse clusters of slightly fragrant bright lavender-pink flowers in spring. 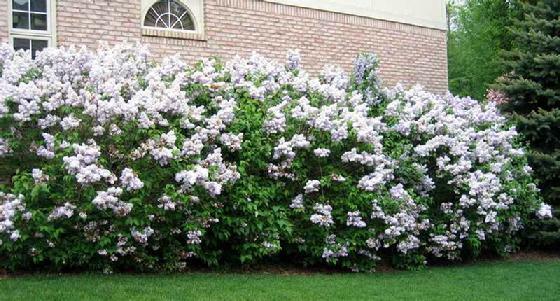 Flowering shrubs are woody ornamentals that do not die back to the ground at the end of each growing season. Their low growing, upright, weeping, single or multi-stemmed forms are aesthetically pleasing as ground covers, accents, specimens, hedges, screens or small trees. Many provide fragrance, cut flowers and wildlife attraction. Practical benefits include wind and sun protection, barriers for noise and traffic sound reduction, formal and informal architecture, as well as privacy. Spring flowering varieties provide a major thrust of color; followed by warm weather bloomers throughout summer. Other varieties bloom in fall while some bear spectacular fruits and bright fall foliage. Even bare of leaves in winter, their woody stems, attractive winter bark and twiggy branch structure provide form and shape in the landscape.